For those of you who want a little more of The Queen of Traitors (The Fallen World, #2), I've got some news for you! The paperback is now available here! Apologies for the delay getting it up on Amazon! 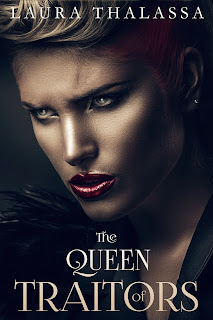 In addition to paperbacks, I also have posted below The Queen of Traitors playlist! These are all the songs that inspired me while writing the book, and I felt most of them reminded me of Serenity and Montes and the fallen world they inhabit. I hope you enjoy them!